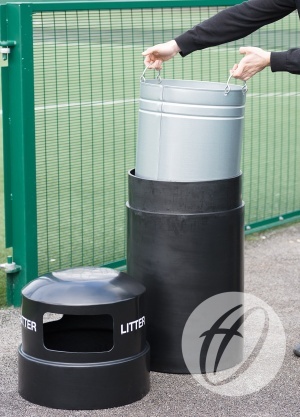 Lockable hooded outdoor bin comes complete with galvanised liner. Lockable Freestanding PVC Hooded Outdoor Bin with a domed top section and robust mid-section for added strength. Comes complete with galvanised liner. Size: 96 H x 46cm Dia. Please see the 'SIZE OPTIONS' tab for all available size options and related products.